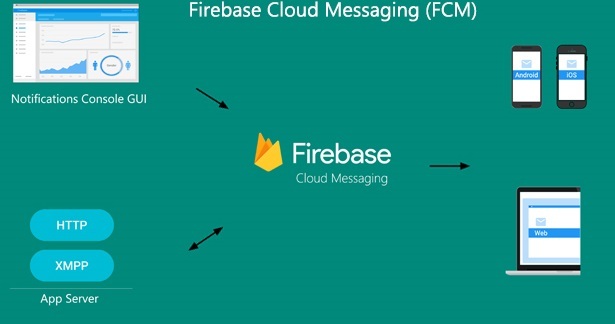 I am going to introduce FCM (Firebase Cloud Messaging) implementation in Android app as well as in server side. FCM is a new, improved version of the Google Cloud Messaging (GCM). It has all the features of GCM as well as some additional features. Add the Android project to Firebase console. If you already have existing Google project associated with your mobile app, click Import Google Project else Create New Project. Click Add Firebase to your Android app and follow the setup process. At the end, you will download google-services.json file. You can download this file again at any time. Move the google_services.json file you just downloaded into your Android app module root directory. 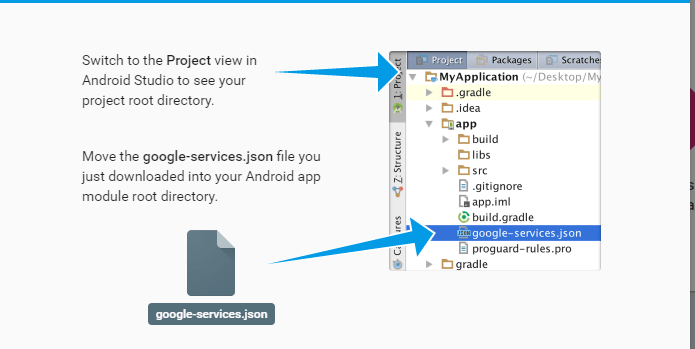 Add rules to your root – level build.gradle file to include the google – services plugins. Create a service that extends FirebaseInstanceIdService to handle the creation, rotation, and updating of registration tokens. This is required for sending to specific devices or for creating device groups. Add service declaration in app Manifest file. onTokenRefresh() callback fires whenever a new token is generated. On calling getToken() of FirebaseInstanceId you will get a currently available registration token. You can send this to your server. FCM connection servers are provided by Google. These servers take messages from an app server and send them to a client app running on a device. Google provides connection servers for HTTP and XMPP. App server sends data to a client app via the chosen FCM connection server, using the appropriate XMPP or HTTP protocol. First issue a HTTP GET request to receive user device REGISTRATION TOKEN along with User_Id to differentiate particular user among all users. (ii) Content-Type: application/json for JSON; application/x-www-form-urlencoded;charset=UTF-8 for plain text. To send message to specific devices , set “to” key to the registration to token for the specific app instance. Basically Group refers as a set of different devices. All devices in a group share a notification key, which is the token that FCM uses to send messages to all devices in that group. The limit on data payload is 2KB when sending to iOS devices, and 4KB for other platforms. The maximum number of members allowed for a notification_key is 20. First get all registration tokens which you want to add in a group. Create a Notification_key , which indicate the device group. You can generate this notification_key on App server as well as on your Android client app. You can remove, create, and update devices in a particular group. The notification_key_name and notification_key are unique to a group of registration tokens.It is important that notification_key_name is unique per client app if you have multiple client apps for the same sender ID. Sending messages to a device group is very similar to sending messages to an individual device. Set the to parameter “to” the unique notification key for the device group. A service that extends FirebaseMessagingService. This is required if you want to do any message handling beyond receiving notifications on apps in the background ,to receive notifications in foregrounded apps, to receive data payload, to send upstream messages, and so on, you must extend this service.